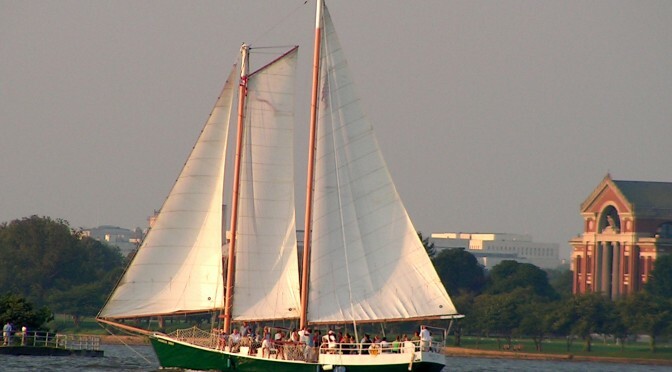 Thanks to the generosity of DC Sail and the National Maritime Heritage Foundation we are able to offer a 3-hour spectator cruise (11:30-2:30 pm) aboard the schooner American Spirit on the Sunday of the President’s Cup Regatta for just $20/person. Click here for complete details on the cruise and click here to purchase tickets via the President’s Cup regatta website. Also, remember that it is not too late to register for the 2015 PRSA President’s Cup Regatta!